Pete Myers EP titled "Quarter Milli Marcel". Bringing a gritty, true to life narrative, surgically precise beats, and top-shelf urban poetry, “Quarter Milli Marcel” by Pete Myers has a little something for every avid hip hop listener. 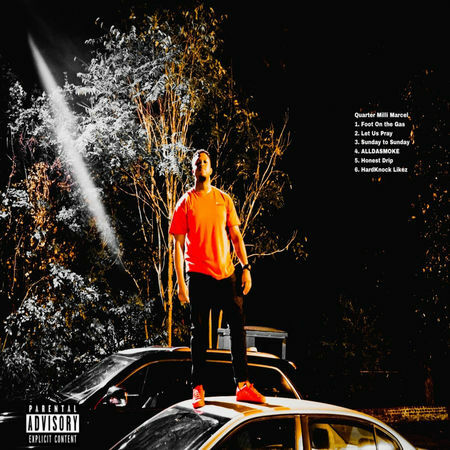 The songwriter, producer/rapper of hip hop known as Pete Myers has released his latest official EP album, “Quarter Milli Marcel.” The EP album contains six original Pete Myers tracks for an approximate total listening time of half an hour. It has been proudly published as an independent release without the involvement of the corporate music industry on the Sudden Peak Records label. Explicit, aggressive, and packed with boom-bap, “Quarter Milli Marcel” showcases Pete Myers as one of the most powerful hip hop artists of 2018 and promises that we can expect plenty more in the years to come.